Rosenby Engineering is a Jutland army of three with a mission to minimize risks to personnel, vessels, cargo, and the environment in the marine industry. They have achieved this by developing a Hydropen which can extinguish fires in shipping containers without human intervention. It started out as a hobby project and took off when the boys behind Rosenby Engineering were admitted to Danish Tech Challenge. This is a four-month acceleration programme, run by DTU Science Park and the Danish Industry Foundation, in which 20 start-ups are given the opportunity to develop their businesses and products through close sparring with mentors in DTU Science Park. 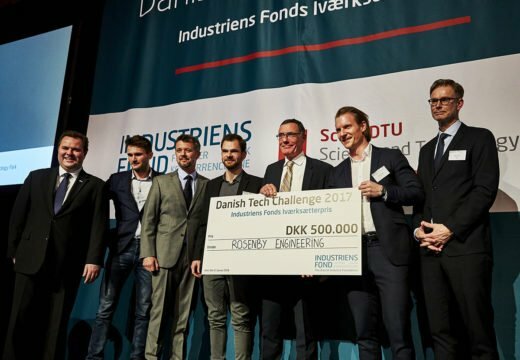 In January 2018, Rosenby Engineering was named winner of Danish Tech Challenge, and received DKK 500,000 for development of their start-up. “It was an instructive process, in which we were challenged every single week. We took several ‘beatings’ from the Danish Tech Challenge team, and they gave us an important reality check in relation to the markets and our business plan. In addition, it was an eye-opener for us—in terms of networking—to emerge from our cave and expand our network to the maritime environment. Since we won Danish Tech Challenge, our company has attracted huge attention. The fact that we won has resulted in interesting opportunities which would otherwise not have been available to us at all. We’ve established good contacts with investors, and we’ve several large shipping customers in the pipeline, where we will also have the opportunity to test our product on the ships,” says CEO Jesper Rosenfeldt Hansen. Read more about Danish Tech Challenge. Today, our company is in a completely different situation. In fact, we’ve come so far that all three of us will be able to work in Rosenby Engineering on a full-time basis in the course of the spring. Danish Tech Challenge meant that we could take some beatings from our mentors rather than being slapped by the market, and we’re much more robust now than before.